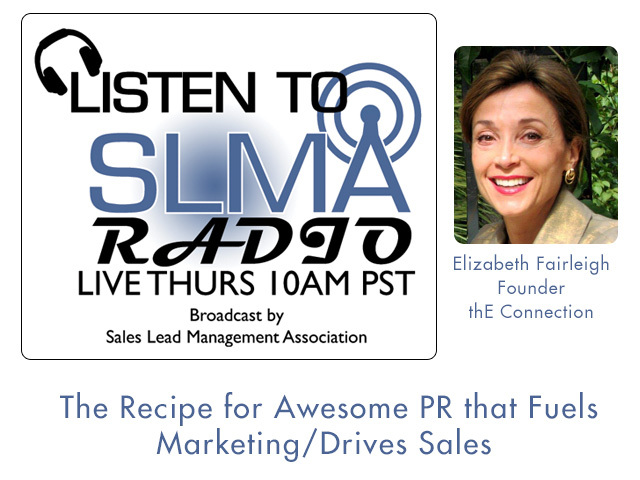 Answers the question “Can PR Drive Sales? Why PR is more sales than marketing! A results-driven, PR professional with 20+ years of communications experience, Elisabeth has earned a reputation for consistently exceeding her clients' expectations. She works with forward-thinking companies who understand the power of PR. Clients tend to be companies engaged in some aspect of Marketing &/or Sales. Prior to founding thE Connection in 1995, Fairleigh was PR Director for two Atlanta-based tech firms, one of which filed a successful IPO during my tenure. In addition to in-house corporate PR, Fairleigh has 5 years of agency experience working for an Atlanta-based PR firm. I began my career as a journalist in Rochester, New York and graduated with a degree in English from Agnes Scott College where I was Editor of the college's award-winning newspaper, "The Profile." Elizabeth is a recipient of the Phoenix Award, presented by the Public Relations Society of America/Georgia Chapter, recognizing excellence among public relations practitioners. I am an original member of the Board of Directors for CRMA-Atlanta and a current member of AiMA. thE Connection, Inc.. is a PR firm specializing in media and analyst relations - Elizabeth Fairleigh founded the Atlanta-based company in 1995 and currently provides services to clients throughout the US. While many clients have been in the crm/technology arena, Fairleigh enjoys working with clients in other industries including the arts & hospitality. Specialties: Strategic PR planning and execution, media relations (traditional & new), analyst relations, thought leadership PR, book publicity, writing & editing: press releases, case studies, pitch letters, etc.